It’s been a great year for interfaith misunderstanding in America. There was a U.S. senator’s wild allegation about Islamic extremists infiltrating the American government. There are the ridiculous — and ongoing — claims about a conspiracy to “impose sharia law in America, ” starting in Kansas and North Carolina, of all places! And then there’s the persistent myth — like many other myths, strangely popular among Fox News viewers — that Barack Obama is a Muslim, accompanied by the belief that being so, if it were true, would be a scandalous thing. Then there were debunked claims — purveyed by the website of a Christian organization ostensibly pursuing justice — that the Muslim Brotherhood was crucifying their Christian opponents. The post is still up, with the words “Stop Christian Genocide in Egypt” prominently displayed. Muslims, of course, feel the heat of these misunderstandings. The Sikh community feels it as never before. Whatever our faith tradition, we all should take the dangers of interfaith misunderstanding seriously because all of us — Christians, Muslims, Hindus, Buddhists, Jews, agnostics, everyone — are affected. Interfaith misunderstanding is a contagious disease. Misunderstanding among “us” begets hostility against “them, ” and hostility against “them” begets more hostility, which eventually circles back against “us.” As the global fever of interfaith hostility rises, everybody potentially finds himself in somebody’s crosshairs. But beyond practical reasons for countering interfaith hostility with interfaith benevolence, there are powerful moral reasons for doing so. For me, as a Christian, at the core of my faith is the call to love my neighbor as myself. Jesus makes clear that my neighbor is not merely my sister or brother — someone like me who likes me. From his Sermon on the Mount to his parable of the Good Samaritan, Jesus makes the audacious claim that my neighbor includes the stranger, alien, outsider, outcast and even enemy. I’ve been researching and writing on this subject for a long time now, and I have a new book out today that grapples with it in depth and detail: “Why Did Jesus, Moses, the Buddha, and Mohammed Cross the Road? 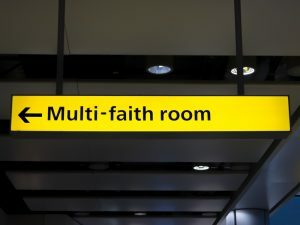 (Christian Identity in a Multi-Faith World).” My conclusion is — among my fellow Christians, and I imagine in other faith communities as well — that interfaith misunderstanding flows from misunderstandings within our own faith. When we fail to understand the dark sides of our own history, the heart of our own doctrines, the purpose of our own liturgies and the thrust of our own mission, we will project our misunderstandings on our neighbors of other faiths. In other words, hostility doesn’t begin when we encounter the other. It begins when we’re gathered together among us. It’s an identity thing. 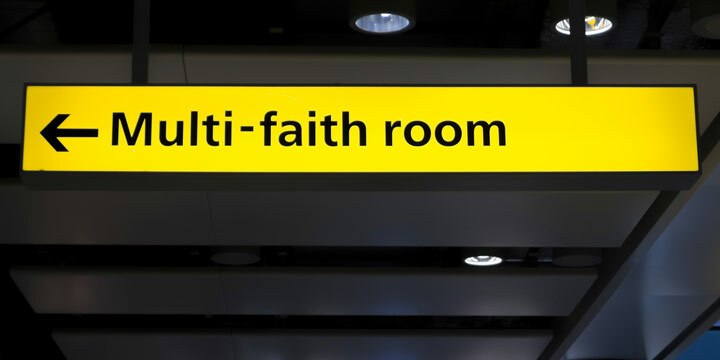 The path to greater interfaith understanding begins in a fresh reformulation and deeper understanding of our own faiths. Those of us who have a voice in each of our faith communities can become agents, activists and examples of that better understanding. Brian McLaren is an author and speaker who recently published a series of e-books regarding The Word of the Lord to… Democrats, Evangelicals and Republicans. His next book, Why Did Jesus, Moses, the Buddha and Mohammed Cross the Road? Christian Identity in a Multi-Faith World, released September 11th. Healing Toxic Faith: Did Jesus die to save us from God?